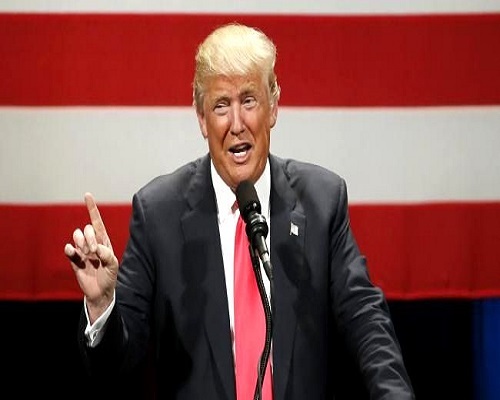 As US President Donald Trump heads into the fight of his political life, the man he had hoped would help guide him through it has now turned him down, and he finds himself in the unaccustomed position of having no obvious second option. to Vice-President Mike Pence, is returning to Georgia with his wife and three young children, according to people familiar with his plans. The decision leaves Trump to contend with fresh uncertainty as he enters the 2020 campaign amid growing danger from the Russia investigation and from Democrats who have vowed tougher oversight after they take over the House next month. As the President restarted the search process, speculation focused on a group that was led by Republican Mark Meadows, who is the hard-edge chairman of the conservative House Freedom Caucus, but also included Treasury Secretary Steven Mnuchin; Trump's budget director, Mick Mulvaney; and the US trade representative, Robert Lighthizer. Former Governor Chris Christie of New Jersey, who as a one-time US attorney could help Trump in an impeachment fight, was also being mentioned. And some Trump allies were pushing for David N Bossie, the deputy campaign manager in 2016. The President on Sunday disputed news reports that he had settled on Ayers as his pick. "I am in the process of interviewing some really great people for the position of White House Chief of Staff," he said on Twitter. "Fake News has been saying with certainty it was Nick Ayers, a spectacular person who will always be with our #MAGA agenda. I will be making a decision soon!" But two people close to Trump said that a news release announcing Ayers' appointment had been drafted, and that the president had wanted to announce it as soon as possible.